The nationwide Powerball Lottery Jackpot now stands at $625 million. The odds of winning the Powerball Jackpot are 1 in 292.2 million. Powerball games are available in 44 US states plus the District of Columbia, Puerto Rico and the U.S. Virgin Islands. The next Powerball drawing will take place on Wednesday night at 10:59 PM Eastern. No winners in Wednesday night’s Powerball lottery jackpot so the grand prize gets rolled over to Saturday and increases to $625 million US. This represents the fourth largest Powerball jackpot ever and the 7th largest US lottery jackpot ever. There hasn’t been a Powerball jackpot winner since the December 28, 2018 drawing which makes Wednesday night’s ‘no winner’ draw the 24th straight. 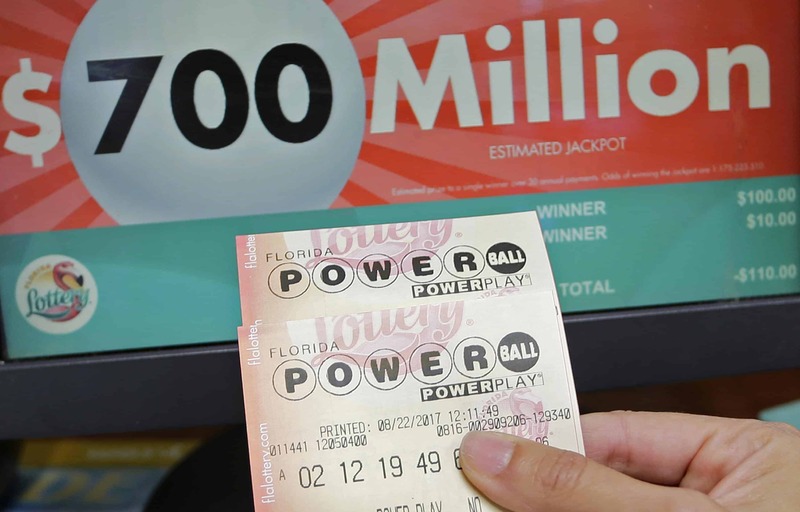 This time there was a $2 million winning ticket sold in South Carolina that matched 5 of the 6 numbers and the Powerball number along with four $1 million winners that matched the six numbers drawn but not the Powerball. The ‘true odds’ of hitting the jackpot are easy to figure with the five white balls combining to form 11,238,513 possible combinations. Add the 26 ‘Powerball’ numbers and you’ve got 292,201,338 possible combinations. That means you’ve got a 1 in 292 million shot at winning the jackpot. The odds to win the $1 million ‘consolation prize’ look reasonable by comparison at 1 in 11,688,053. WILL A JACKPOT WINNING POWERBALL TICKET BE DRAWN ON SATURDAY? HOW MANY JACKPOT WINNING POWERBALL TICKETS WILL BE DRAWN ON SATURDAY? TOTAL NUMBER OF TICKETS SOLD FOR SATURDAY’S POWERBALL DRAWING? WILL ANY WINNER (OR WINNERS) CHOOSE THE ANNUITY PAYMENT OVER THE LUMP SUM AMOUNT?